According to a recent report from the Braintree Patch, a local family is suing a national grocery store owner and a cattle ranch in Missouri after their son died after ingesting a powerful strain of E. coli bacteria. The family is alleging their son became sick from eating tainted ground beef sold at the Braintree store. 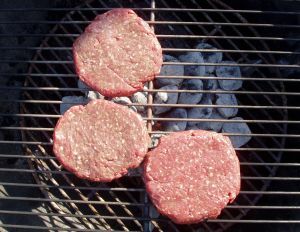 This grass-fed beef was produced from cattle raised at the Missouri ranch and sold at the local market. After this incident, the retailer issued a recall of all ground beef due to possible E. coli contamination. Storeowners have issued a statement expressing their condolences to the family for the tragic loss of their son, but they deny any liability for the incident, claiming investigations did not show any link to their business. The ranch owners also issued statements saying their testing has conclusively established the contaminated meat did not come from their ranch. As our Boston personal injury attorneys understand, cases such as these will require a great deal of investigation. Through the discovery process, it may be possible to obtain internal documents and other company memos that contradict public statements denying any and all liability. The discovery process is the phase in a civil lawsuit where the parties can send certain requests to each other. In the Commonwealth of Massachusetts, parties in a civil lawsuit are permitted to send requests for admissions (RFAs), interrogatories, requests for production of documents (RFPs), and to take depositions of other parties and witnesses to the case. RFAs are a list of facts that the other party can either admit or deny. In certain situations, the party sent an RFA could state he or she does not have enough information to either admit or deny the allegation. The purpose of sending an RFA is to get as many admissions as possible, so the party cannot later deny those allegations at trial. RFPs include a list of documents relevant to the case, including internal memos and email, which may help establish a cause of action. When dealing with a large corporation such as the defendant, the attorney will frequently fight these requests, claiming they are calling for documents containing protected trade secrets and other privileged material. When choosing a Boston personal injury attorney, you should make sure he or she has experience in handling cases with large corporate defendants and is prepared to aggressively fight for your right to full and appropriate settlement or jury verdict. In a deposition, your attorney will have the opportunity to ask oral questions of the other side’s witnesses, and their answers will be recorded by a stenographer and possibly on video, as well, depending on the situation. During a deposition, the other party’s lawyer can object to a question, but, since there is no judge present at the deposition to rule on the objection, the witness must still answer the question. It is during the discovery process that your attorney can procure evidence that will help prove your case. You will likely discover information that is vastly different than the public denials made to the media following the incident.